A Medicaid Life Settlement is the life settlement option that converts existing life insurance into an FDIC insured account used to pay for the cost of assisted living care directly each month. Qualifying for this type of life settlement is quick, and there are no fees or obligations to have your life insurance policy valued. 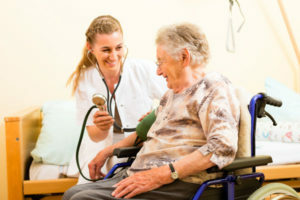 If accepted, you choose the type of assisted living care that is best for you, whether nursing home care, hospice, specialized Alzheimer’s care, or skilled nursing care. A Medicaid life settlement may change the way you look at your life insurance policy. You may now be eligible to convert your life insurance policy into immediate cash payments to pay for long term care expenses including assisted living, nursing home, hospice and in-home care expenses. Seniors are throwing away Billions of dollars of cash each year and at the very time they could absolutely use it the most. According to The Life Insurance Settlement Association, more than 80 percent of all life insurance lapses or cancels before it ever pays out in a death benefit. If you are considering using Medicaid to pay for long term care expenses, you should look into the benefits a Medicaid life settlement can provide when deciding how to pay for care. Too many people cancel their life insurance policies as they qualify for Medicaid to cover their long term care costs. You may feel pressure to liquidate other assets or rely on your family to cover the costs associated with your assisted living. A long term care benefit plan literally takes the insurance policy that you were going to cancel and converts it into payments to the long term care facility of your choice. Most life insurance policy can be converted to pay for long term care expenses. If a policy owner no longer needs, or can no longer afford their policy, and is considering letting it lapse or surrendering it for the remaining cash value-then converting it into a Long Term Care Benefit Plan is the answer. A life insurance policy can pay for long term care expenses. Before you just cancel your life insurance policy, please take the time to see if it qualifies to be converted into a medicaid life settlement plan. Please also share this message with those you know that may be facing a similar situation. Information and education is the key to making an informed decision.